UK based Vodafone Group Plc has paid Essar Group $1.9 billion, DNA India reports. In March, Vodafone announced it would pay $5 billion to buy out Essar Group's stake in Vodafone Essar. The settlement was to be finalised by November 2011. The $1.9 billion is the first tranche of this settlement. In April, Essar Group demanded $600-700 million more from Vodafone Group, however there is no further information from either company on an increase in the total amount. 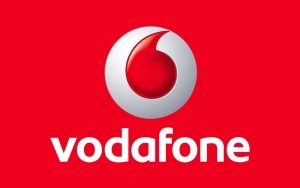 Vodafone India witnessed a 23.95 per cent rise in revenues to $6.16 billion for the fiscal year ended 31st March 2011. Vodafone Group also faces a $1 billion tax from Indian tax authorities regarding its acquisition of Essar Group's offshoring holding. The GSM operator has 136.97 million subscribers in India as of April 2011, according to industry body Cellular Operators Association of India (COAI). Yesterday, it issued a legal notice to a customer for repeatedly posting defamatory remarks about the company on Facebook.